Manchester City have been eliminated from the Champions League after losing to AS Monaco on away goals. Man City carried a 5-3 lead into tonight’s game from the second leg, but that advantage was fast halved by Kylian Mbappe. The 18-year-old teen sensation, who has bagged 18 goals in all competitions this campaign, fired home past Willy Caballero to give his side hope. Fabinho then found the back of the net to eradicate Man City’s aggregate lead. The Brazilian arrived late into the penalty area and his thumping finish left Cabellero with no chance. Monaco led on away goals and City needed a goal – and they found one. Leroy Sane latched onto the loose ball at the back post and cannoned the ball into the back of Subasic’s net. 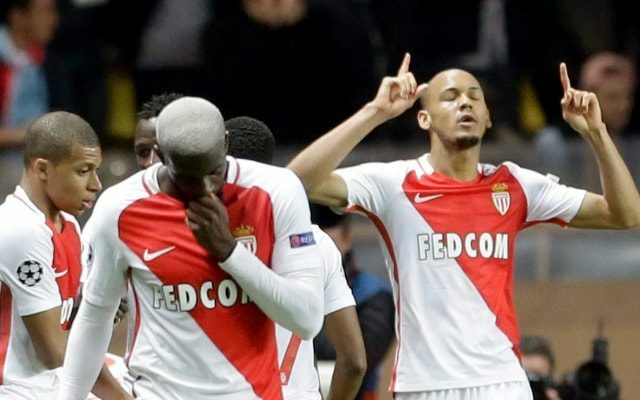 Man City couldn’t hold on, however, as Tiemou Bakayoko put Monaco back into the driving seat. His bullet header proved to be enough to send the Ligue 1 leaders through to the quarter finals. Leicester City are now the only English team left in the Champions League. Here are our player ratings for both sides. Manchester City player ratings: Cabellero 5, Sagna 4, Stones 6, Kolarov 6, Clichy 6, Fernandinho 7, Sterling 3, De Bruyne 5, David Silva 7, Sane 7, Aguero 4.